Arthur Allen Jones (November 22, 1926 – August 28, 2007) was the founder of Nautilus, Inc. and MedX, Inc. and the inventor of the Nautilus exercise machines, including the Nautilus pullover, which was first sold in 1970. He was a wild-animal enthusiast, filmmaker and entrepreneur whose fitness machines helped to transform the fitness industry. 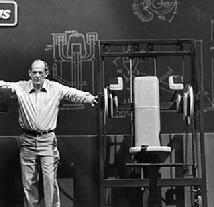 Jones's ideas helped move the public's notion of bodybuilding and strength-training exercise away from the hours in the gym using free weights to high intensity machine training. This involves short, single sets with maximum intensity, to maximize muscular growth. Jones's publications included the Nautilus Bulletins, which aimed to dispel contemporary myths of exercise and training. It was the advent of Nautilus machines that made resistance training appealing to the general public, fueling the fitness boom of the 1970s and 80s and resulting in Nautilus gyms in strip malls across America. The Nautilus machines and the company he formed to sell them made Jones a multimillionaire. He sold Nautilus Inc. in 1986 and sold MedX Corporation in 1996 and then retired. 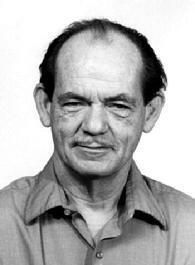 On August 28, 2007, Jones died from natural causes at his home in Ocala, Florida, at age 80.